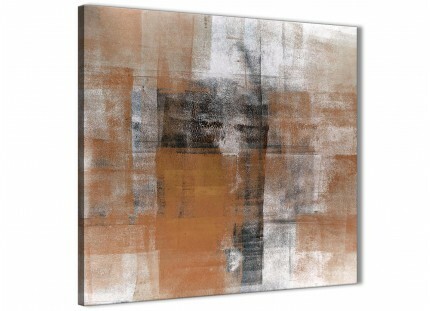 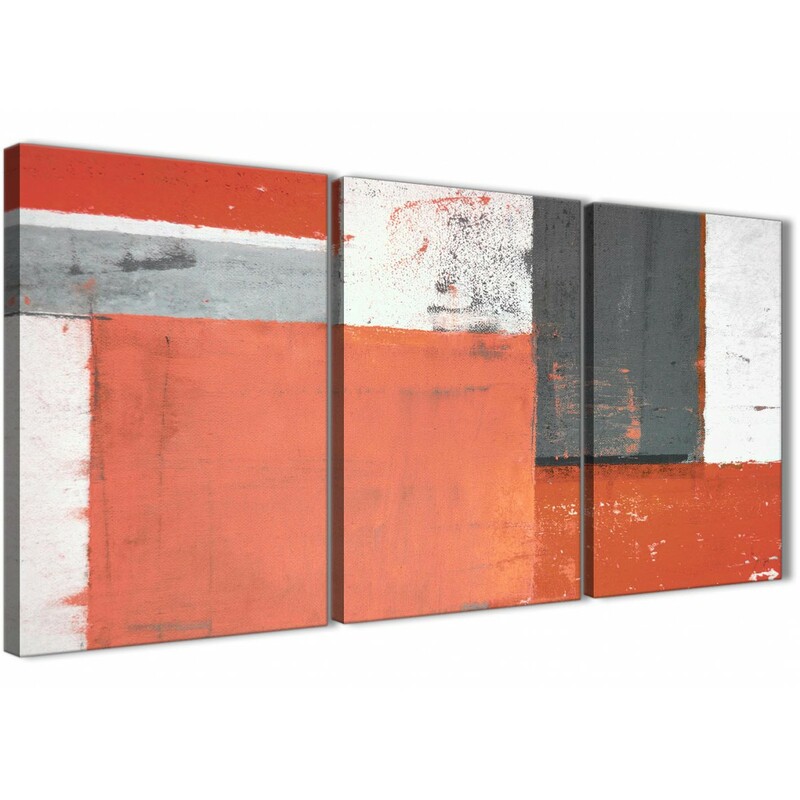 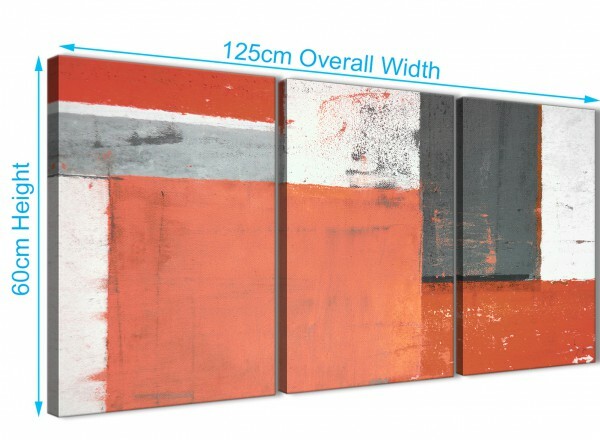 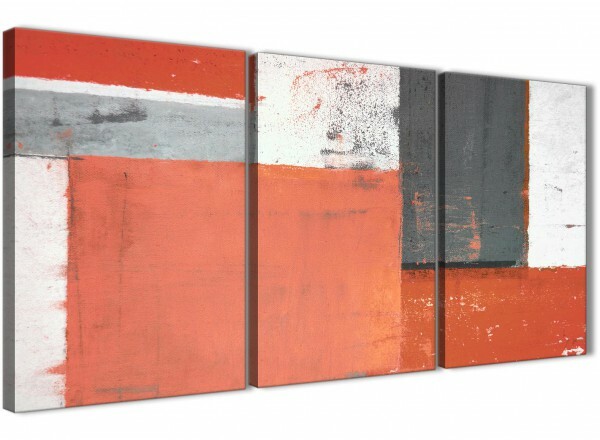 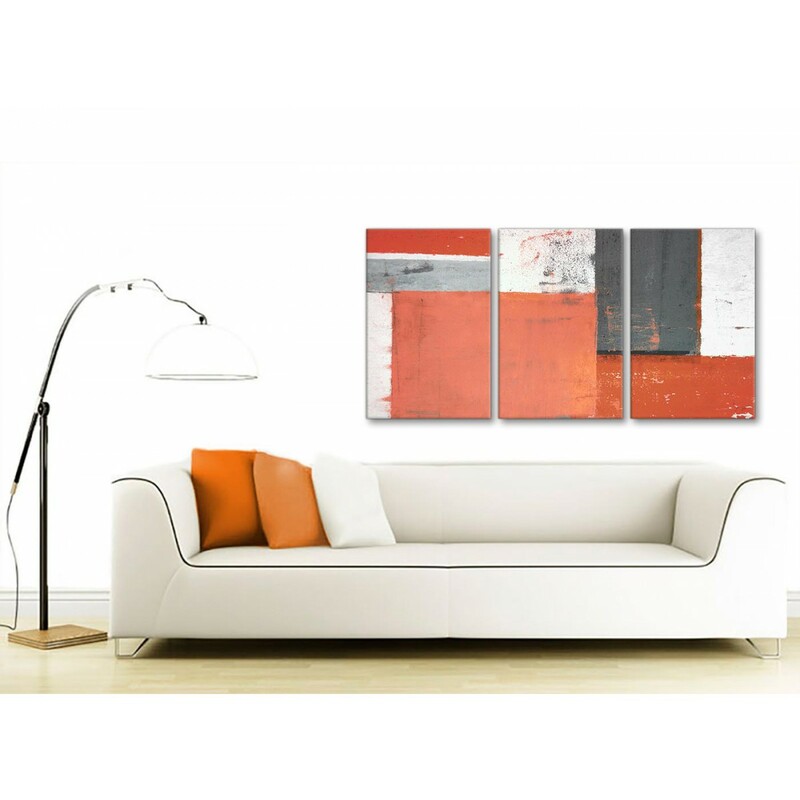 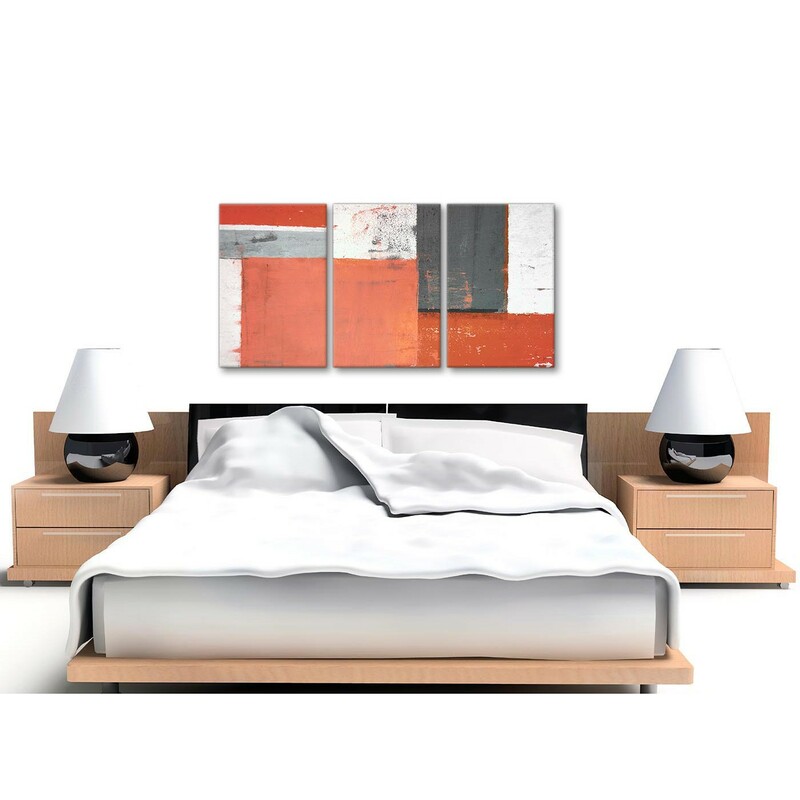 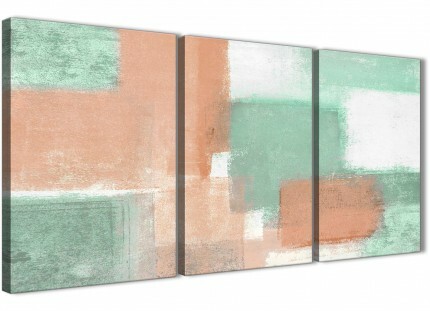 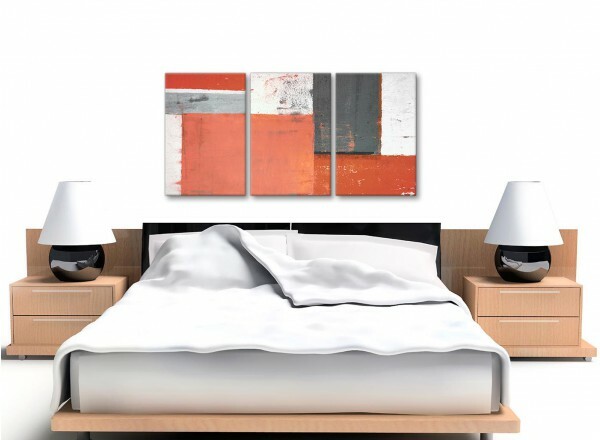 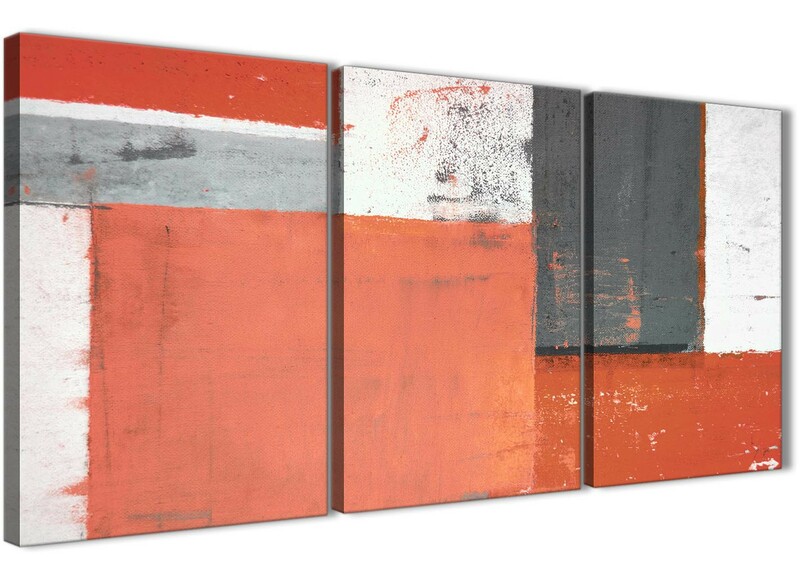 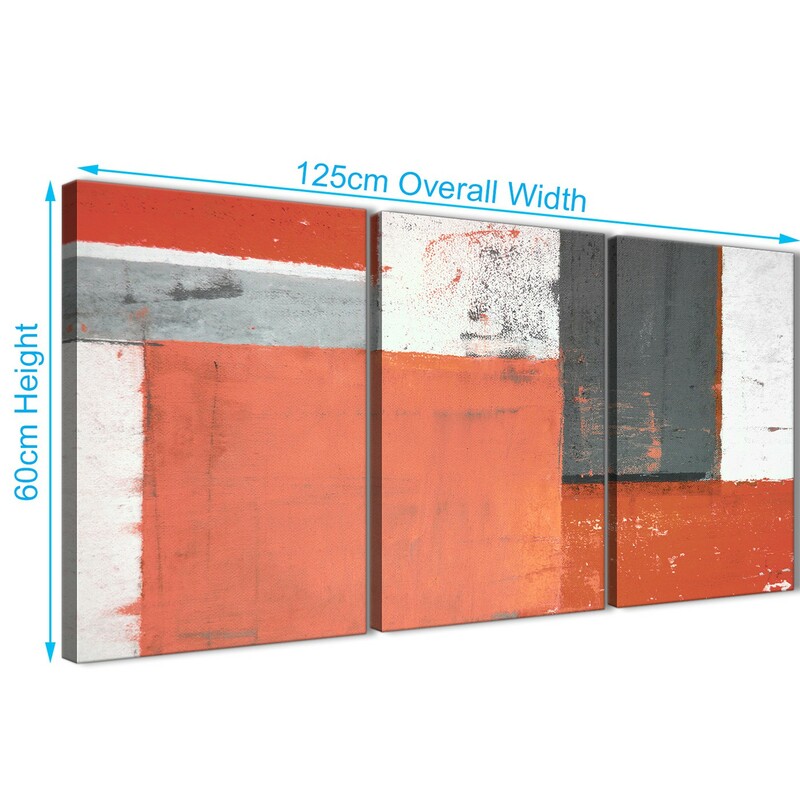 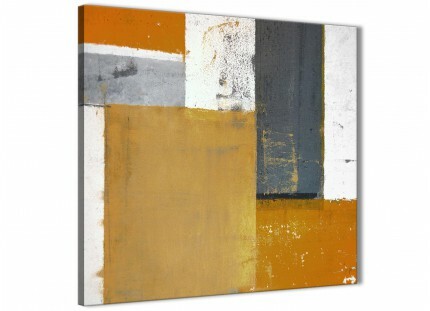 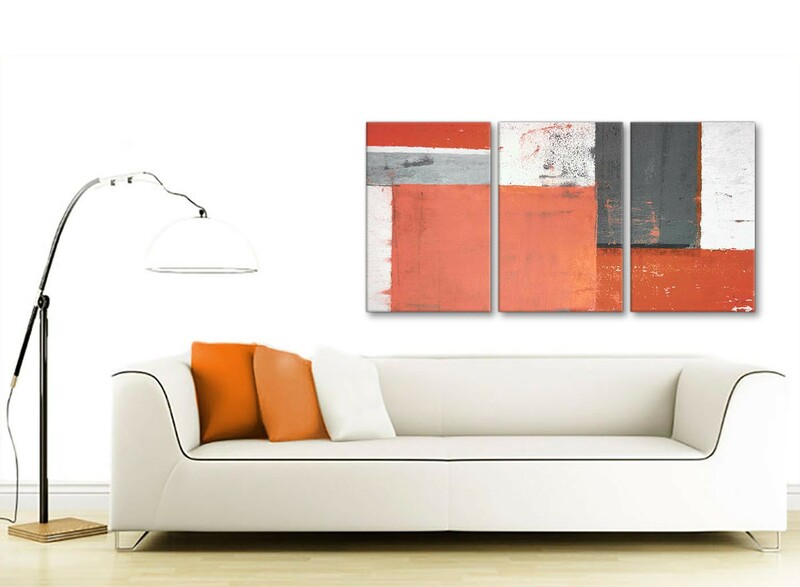 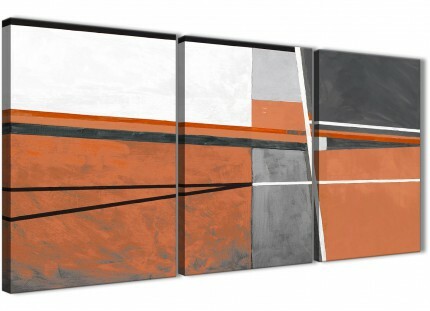 A Stylish Coral Grey Abstract Painting Canvas Wall Art Print. 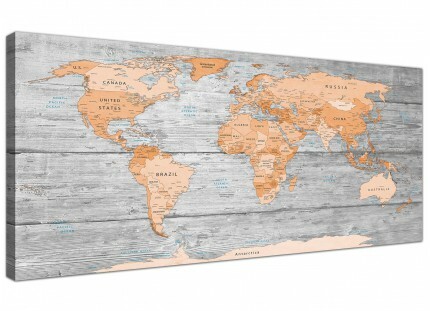 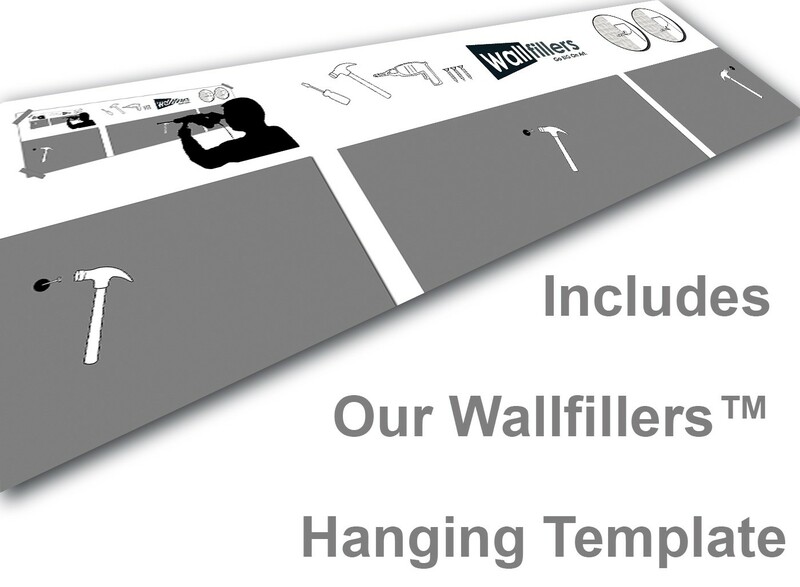 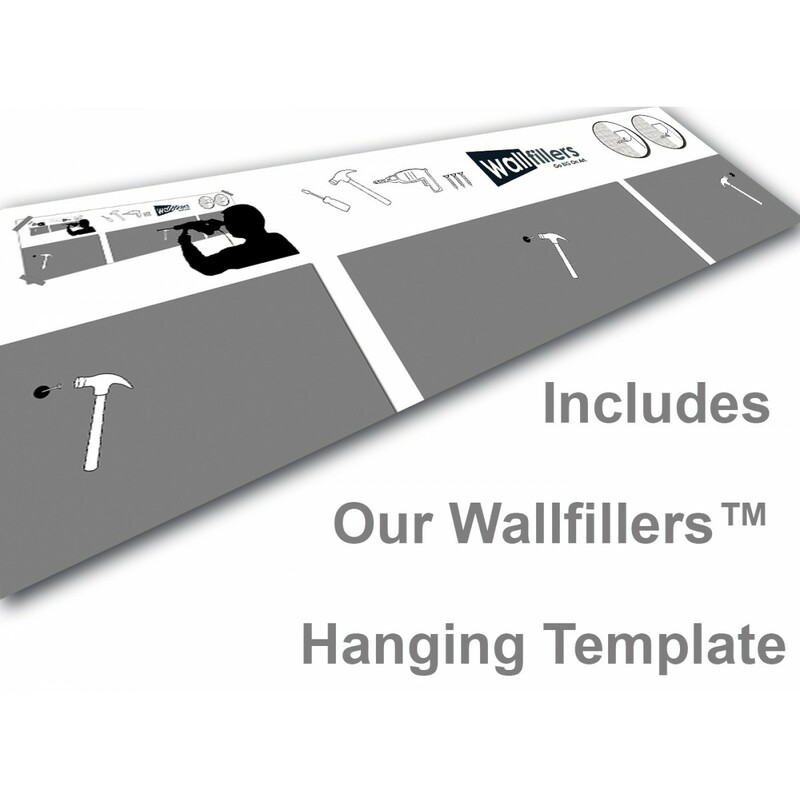 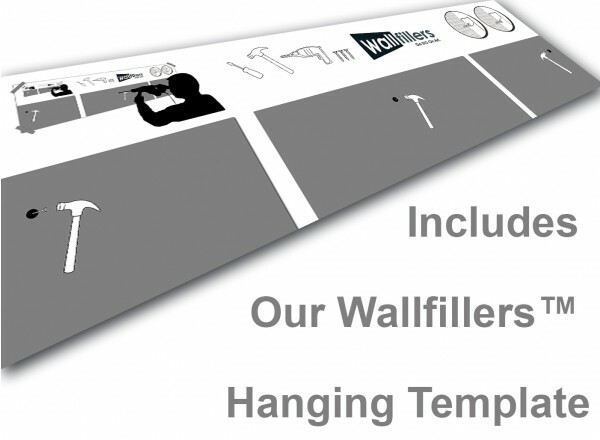 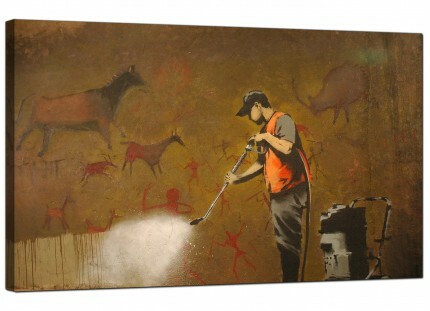 Britain's most reliable wall decor manufacturer. Perfect length for over the bed.